UK publisher Sold Out is teaming up with Team17 to publish physical versions of Worms W.M.D and Overcooked: Special Edition on Switch, it has been revealed. Arriving in 2018, the two games will launch in physical form on Nintendo's console, adding two more titles to the machine's burgeoning retail lineup. Overcooked is already available on the Switch eShop but Worms W.M.D. - the latest entry in Team17's long-running series - doesn't yet have a confirmed release date in digital form. Dammit, this means that Worms is likely going to have a £30 pricetag digitally now. Edit: To be fair, I checked prices on other platforms, and it is £19.99 on Steam. So it's not that much more if it is priced in the £30 range, but it feels like a lot for Worms. Armageddon was one of my favorite 64 games; we played the heck outta that game! Yeah, I hate high prices for digital releases. I was wanting to play 88 heroes, but it's $30 on the Nintendo eShop. I just bought it on sale for $3 on the Sony online store for my PS4. It's a great game, very creative, but not a $30 game. Overcooked Switch in Physical ?! One PS4 games from my collection has cut down by 3. They could be waiting for cheaper cartridge prices. Yep, that good news sounds like bad news if you think about it. Cool for some, but at $20 and less than 1GB, Overcooked is definitely something I wanted digitally. I AM waiting for VOEZ physical though. Already have Overcooked but would consider grabbing Worms physically. Depends on how far the release is between the physical and digital versions as if it's gonna be a long wait I might just download it. Ahhh - all I see in this is inflated digital prices for Worms. Glad it's coming but this might mean I will have to wait on a sale. If they are 30 or less I'll bite! YES!! Bring on the bazookas and jetpacks! WWMD day one physical here we come!! Will Overcooked come to Europe? Already bought Overcooked digital but I will hold off of Worms if the physical release ain‘t taking much longer to get here than the digital. I always want games physically. Except games like Worms and Puyo Puyo Tetris which are perfect for pick up & play. I really wish they would let us know upfront which eShop games would be getting physical releases. I would have held off on games like Snipperclips and Overcooked to get a physical version instead. I'm getting increasingly frustrated and annoyed at the lack of info about the Switch release of WMD. Yes we know you've said its coming and yes, its been playable at pretty much every expo Switch has been to but for the love of God people, WHEN WILL YOU RELEASE IT?? @thesilverbrick have to totally agree. I have snipperclips and although I love the game and will get the dlc. I would've of definitely picked it up physical. Not interested in Overcooked but Worms will be a day one for me. No doubt it will be over priced on Eshop due to it also getting a physical release but for this I'll make an exception. Hopefully it'll have cross play with at least PC so there won't be any issues finding opponents online. Worms and Overcooked get physical on a Switch?! Wow, talk about child-friendly, Nintendo! @thesilverbrick I hear ya, it's so freaking annoying. I would have waited for Sonic Mania to get a physical release. Nice, soon the SNES/N64 multiplayer trinity of Worms, Mario Kart and Bomberman will be reunited. If Team 17 are releasing these physically, then Yooka-Laylee feels almost guaranteed as well. 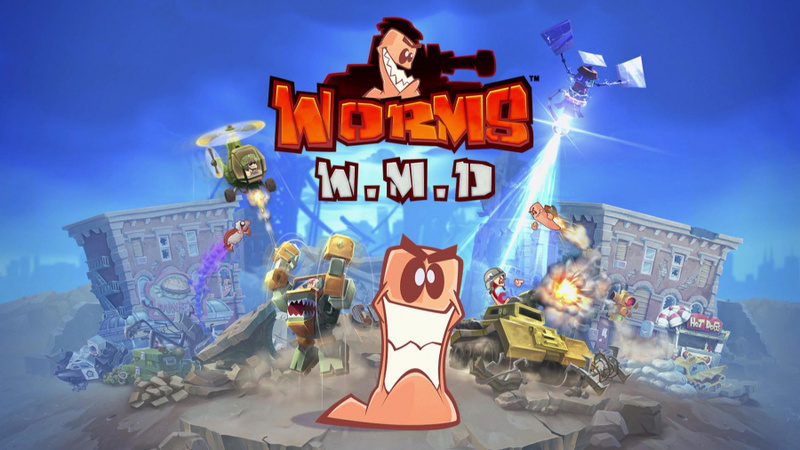 That's all well and good, but when is the digital version of Worms to be released, cuz its supposed to be quarter 4 of this year and i don't care about owning it physically, i just want it ASAP. 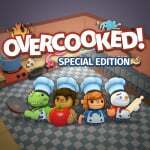 I won't pay over 15 for a digital title so pleased overcooked is getting a physical release. 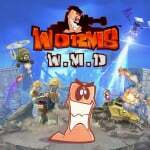 UPDATE: Team 17 just told me that they "won't be pursuing a physical version of Worms W.M.D going forward. Apologies if this isn't the news you wanted to hear."